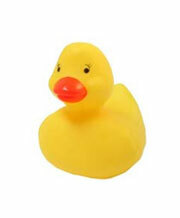 Just ducky. 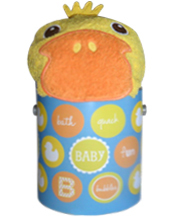 This baby bath gift set will make bath time so much fun for the new baby. 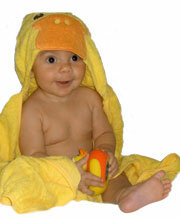 We all know that yellow rubber ducks are just the quintessential baby bath toy. 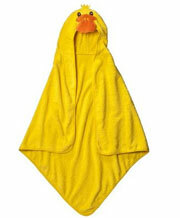 Our adorable baby bath Goodie Tin comes filled with yellow duck bath toys as well as a cute as can be hooded duck towel. 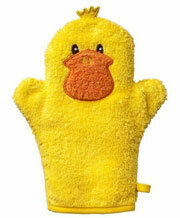 It also comes with fun bath hand mit. It also comes with a fun hand mit. 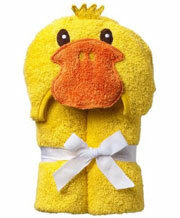 Perfect for baby's first bath. Fully wrapped and ready to gift. 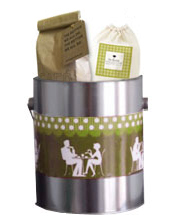 Goodie Tins, the more sophisticated cousin of the gift basket.